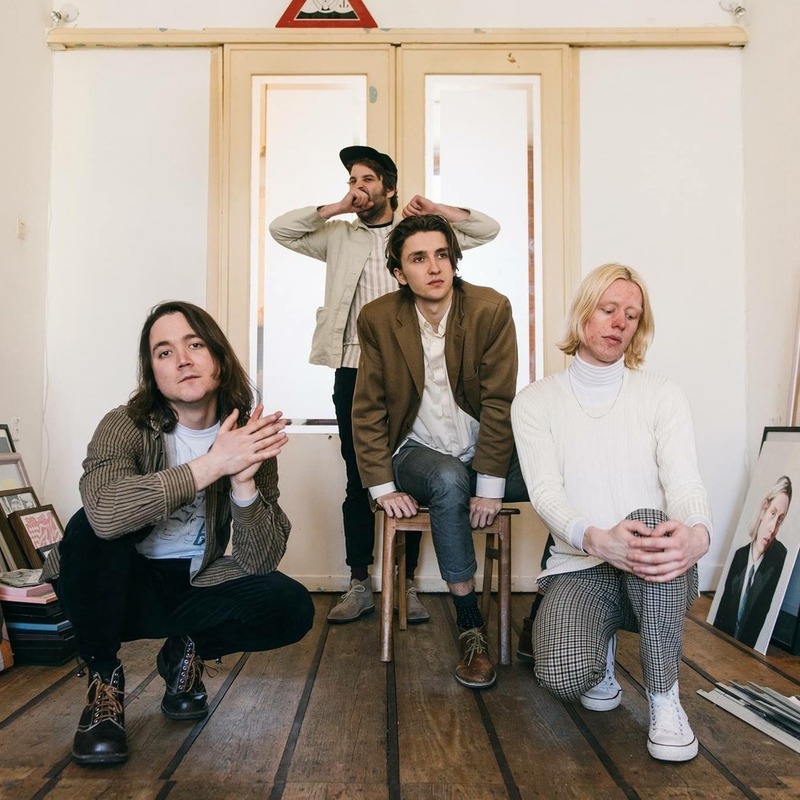 Dutch band Mozes and the Firstborn just released their third studio album, Dadcore, late last month on the California label, Burger Records. 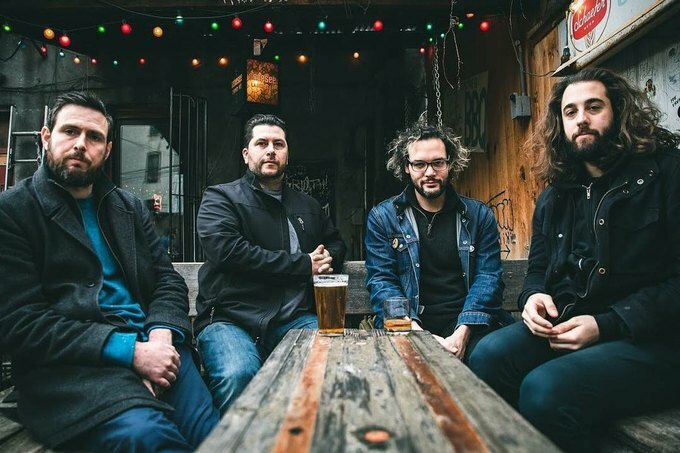 The veteran four-piece, while still young, pay homage to a distinctly mature American indie rock sound on this latest release, echoing the music of Dinosaur Jr., Beck, and frontman Melle Dielesen’s favorite band, Guided By Voices. Congrats on the release of your new record, Dadcore! How’d you go about writing and recording the songs on this record? The whole process of writing and recording took about two years. We didn’t go into the studio with a set of songs, necessarily. We made a decision to take every song and make that work with a certain studio or person that we wanted to work with. It was less uniform. The record is eclectic in style, which is something we were looking for. Writing-wise, I like to write things that sound different and play with genres. We thought it’d be cool to compile songs in a mix-tape style, which I think comes through in the album. You seem to draw influence from a lot of '90s indie rock groups like Teenage Fanclub and Guided By Voices. Who did you draw inspiration from when writing and recording Dadcore? There are a lot of inspirations that went into this record. The lead single, “Sad Supermarket Song,” is influenced by big '90s anthemic songs. “Flyout I,” the 30-second song, is very much inspired by one of my favorite bands, Guided By Voices. The influences were varied and we were getting contributions from all band members. That’s interesting that you mention Guided By Voices. They’re such a prolific band. I noticed that in between songs there are these short snippets. It reminded me of their classic record, Alien Lanes. Was that inspired by Guided By Voices? The snippets came to life around the same time that the title, “Dadcore,” came about. It was when we were about halfway through recording it. We wrote “Dadcore,” and we were thinking if there was a way the album could tell a story, so we incorporated these tape snippets that we recorded on four-track. Alien Lanes is definitely one of my favorite records of all-time, so I can imagine that it had an influence on me. My favorite song on the record is the title track, “Dadcore.” You collaborated with a really great California band on it, together PANGEA. How’d you wind out collaborating with them on the track? We’ve toured with them a whole bunch. Our second U.S. tour was supporting them and we also did a Burger Records caravan tour with them. We had written the title track and we wanted to incorporate a call and response aspect, so we asked them to do it on the track. How’d the relationship with Burger Records come about? We were playing a showcase festival in the Netherlands. Lee from Burger saw us play and was enthusiastic about us. He wanted to work with us after that. A stroke of luck for sure, as it got things going for us in the states. It came to life when Raven, our drummer, and our bass player were hanging out with a friend of ours who has a clothing brand. They were talking about what kind of style I have, and they labeled it as “Dadcore.” Then we decided that it should be the title of our record! It was kind of playful and we all enjoyed the title. We’re also looking for a way to incorporate that into the songs we were producing at the time. I guess the songs we are doing are pretty rock-oriented, which is not really the hippest genre right now, so it kind of fit. It’s a love letter to one of the most “Dadcore” genres, which is rock music. The record was co-produced by your drummer, Raven Aartsen, and Chris Coady. What was it like working with them? Raven and I have been collaborating since the very beginnings of the band. We’re always reacting to each other’s ideas and bouncing things back and forth. So, it felt very natural that he would be in the producer’s role for this record. Bringing in Chris Coady was amazing. 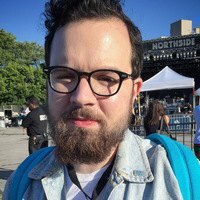 Working with someone who has a totally different level of making music and producing records, and being able to take his suggestions and expertise, really made it incredible. How do you like touring the states? What do you like about touring here? It’s great! It feels like we’re getting out there and playing a lot of shows. There are a lot of venues, and traveling the states is very romantic. Traveling the states and staying in motels every night. For us, as a Dutch band, the Netherlands is small, so we always wanted to expand and play in the United States. What are you listening to right now while on tour? Well, I’m usually in the back seat answering emails, so I’m not in charge of the music! We are listening to a lot of country music. It’s not something I listen to a lot, but it’s fun, it’s very American and goes well with the landscape as we’re driving through the West and Midwest. What’s next for the band? Any plans for the rest of the year? Right now, we’re fully focused on this tour. We want to get the word out about this new record. We want to play as many shows as possible and play in front of as many people as possible! We’re also already writing a new record, so we’ll be working on that. You can purchase Dadcore via Bandcamp. Don't miss Mozes and the Firstborn this Friday, Feb. 15 at Rough Trade with The Parrots. Doors open at 8 p.m. and the show begins promptly at 9 p.m. Tickets are $12 if purchased in advance and $14 at the door. Looms, Monograms, Ryne Ziemba at Our Wicked Lady, 8 p.m.
Wednesday night at Our Wicked Lady features an all local lineup for a new special night called ILLEGAL WEDNESDAYS. Enjoy ILLEGAL Mezcal specials all night long while bopping your head to the tunes of Looms, who just announced their signing with Good Eye Records, and Monograms, who shared their fantastic new EP last September, and are already back at it recording new material. Arrive early to hear Ryne Ziemba, who premiered a new music video for his latest single, “Message,” last week on BTRtoday. Does he have a new release on the horizon as well? He sure does. His upcoming album, Cataclysmos, drops this Spring on Moon Bus Records! Pecas, NOIA, Courtship Ritual at ALPHAVILLE, 8 p.m. Celebrate Valentine’s Day with the dreamy disco stylings of Brooklyn-based artist Pecas on Thursday night at Alphaville. 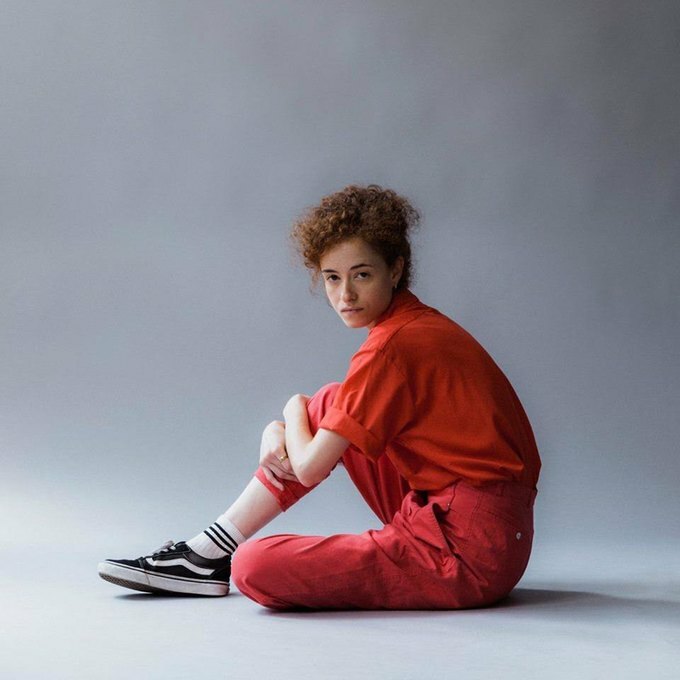 To mark the holiday, Pecas is premiering a brand new music video for her latest single, “T-Shirt,” which promises to deliver more of the sultry and smooth sounds of her 2018 EP, After Dark. Arrive early for a heavy dosage of intoxicating synth-pop, as the duo of Monica Salazar and Jared Olmsted, collectively known as Courtship Ritual, will be opening the show, followed by the enchanting NOIA. Kal Marks, A Deer A Horse, Parlor Walls, Alex C at The Glove, 8 p.m.
Boston’s Kal Marks are on the road for a short tour that’ll see them perform in several DIY staples, including a stacked bill this Friday at The Glove. 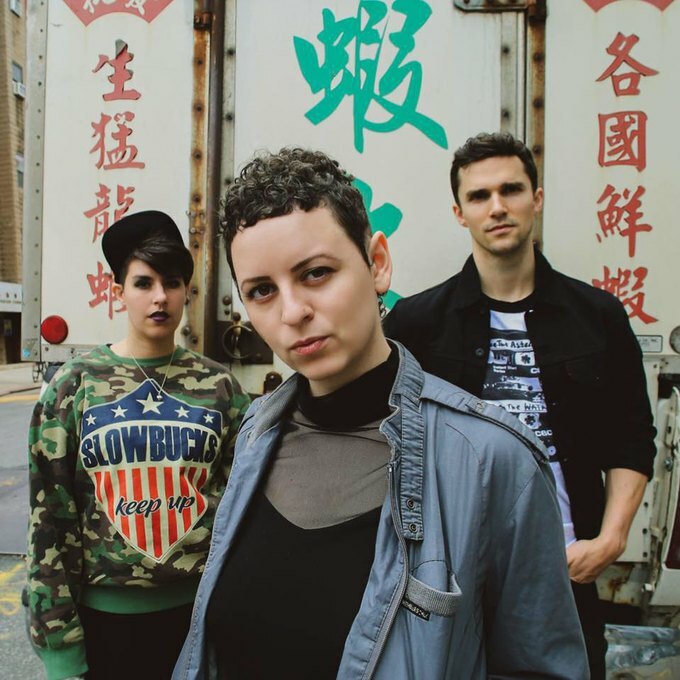 The trio, who released their latest album on Brooklyn’s Exploding In Sound Records in February of last year, play a chaotic style of heavy post-rock that’ll blow the roof off any venue. A Deer A Horse, whose latest aggressive and sludgy single “Double Wide,” turned heads upon its release late last year, will also be performing along with the experimental no wave duo Parlor Walls. This show also features a special opening act, as Alex C of local noise rockers Dead Tenants will be debuting his solo material! A Deer A Horse. Photo by Angela Betancourt. 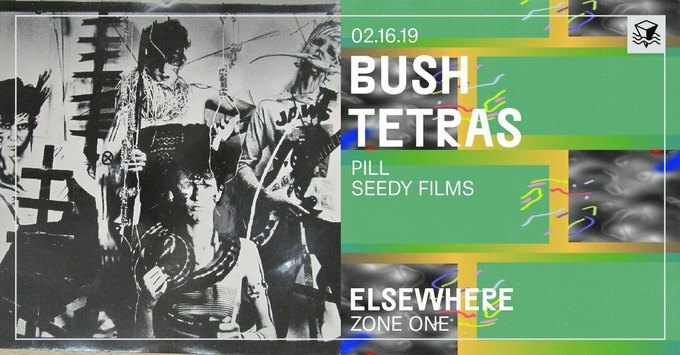 Bush Tetras, Pill, Seedy Films at Elsewhere, 6 p.m.
Good things come to those who wait, as this great gig, which was originally scheduled for October, is finally happening this Saturday at Elsewhere. New York City post-punk legends Bush Tetras have been quite active over the last two years. Thirty-nine years after their initial formation, the band released their first new music in almost a decade, a four-song EP entitled Take The Fall on Wharf Cat Records. Fans of Bush Tetras will not be disappointed by the supporting acts, which include invigorating up-and-comers, Pill. The Brooklyn quartet's second album, Soft Hell, channels the raucous post-punk and no wave of 1980s New York with a modern, darker twist. Don’t miss openers Seedy Films, an exciting new group who are sure to get the show started the right way.